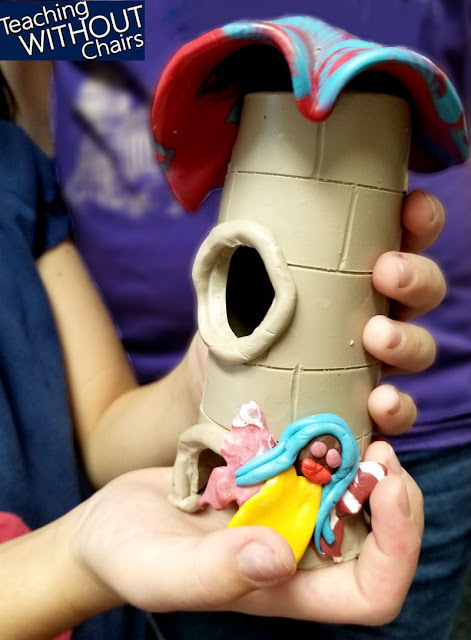 The third week of our homeschool art class was all about clay for kids! 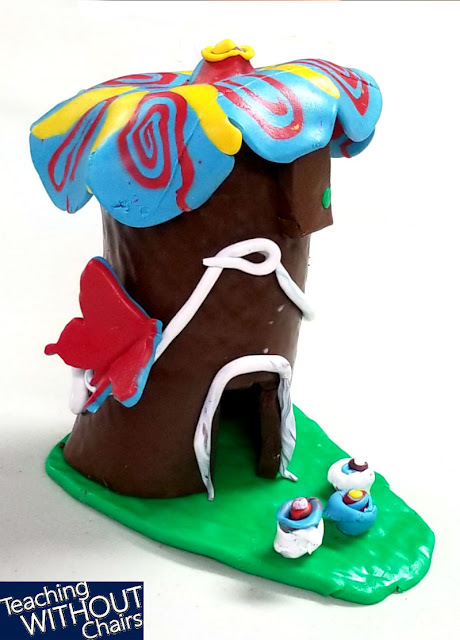 I decided to use Sculpey's Premo polymer clay, teach about clay, give them instructions for a clay fairy house, and let them create their own projects. The results were amazing! 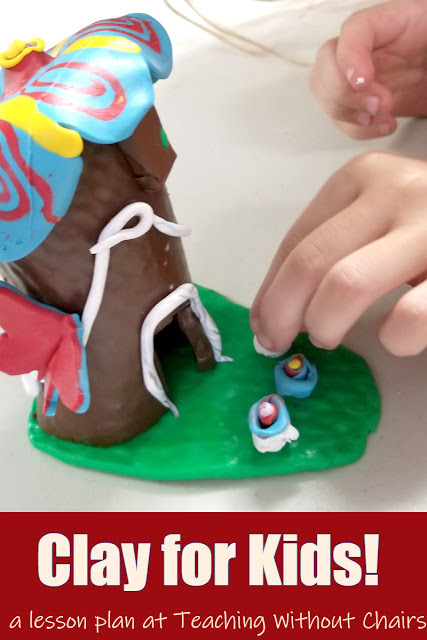 Today I'm going to tell you why I love Sculpey's Premo polymer clay and give you the Clay for Kids lesson plan...as well as some pictures of their fantastic projects! 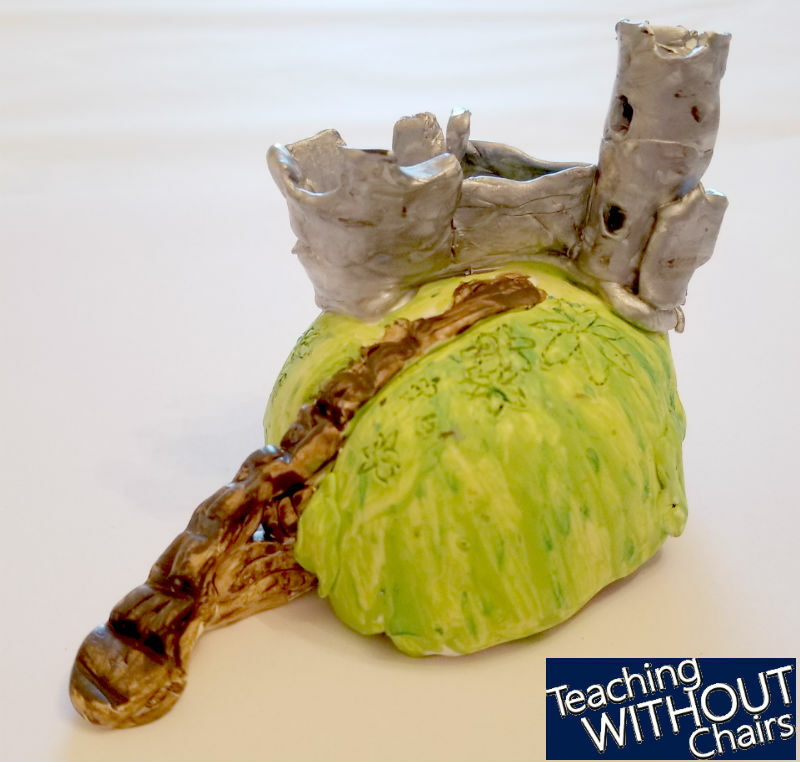 I did this lesson with homeschooled elementary and middle school aged kids. 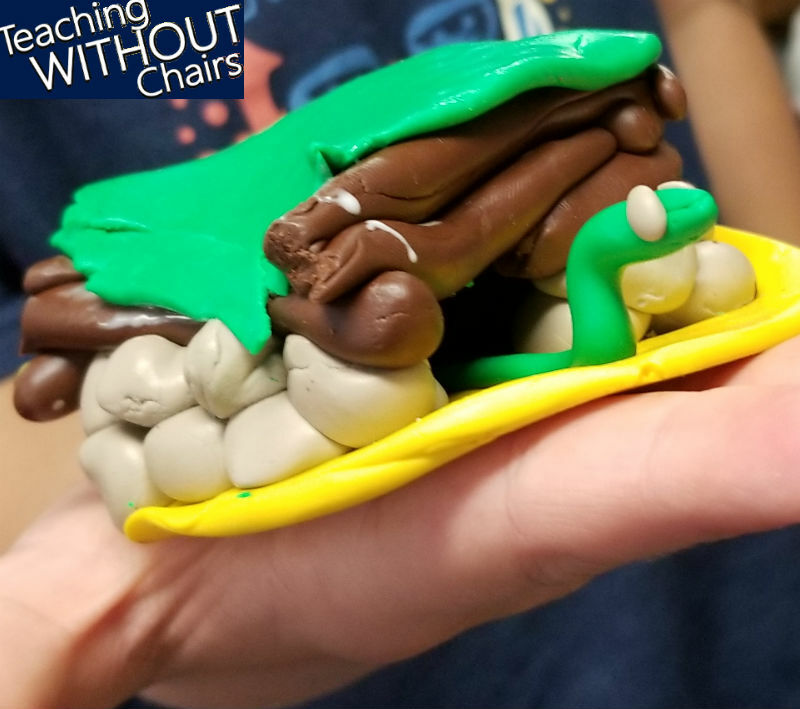 The youngest elementary kids had moms help them condition the clay, but this is something that - if you have enough time - young kids can do themselves too (check out this post to see what our preschoolers have been doing with the same clay)! So, let's start with the clay. I really, really love Sculpey's Premo polymer clay. Obviously, I am totally biased, but I am certain that if you're looking for clay for kids, this is the perfect choice! Here are my reasons! 1- Sculpey's Premo polymer clay is very high quality. Not all clays are created equal, and children will have a more successful experience when they are using high quality materials. 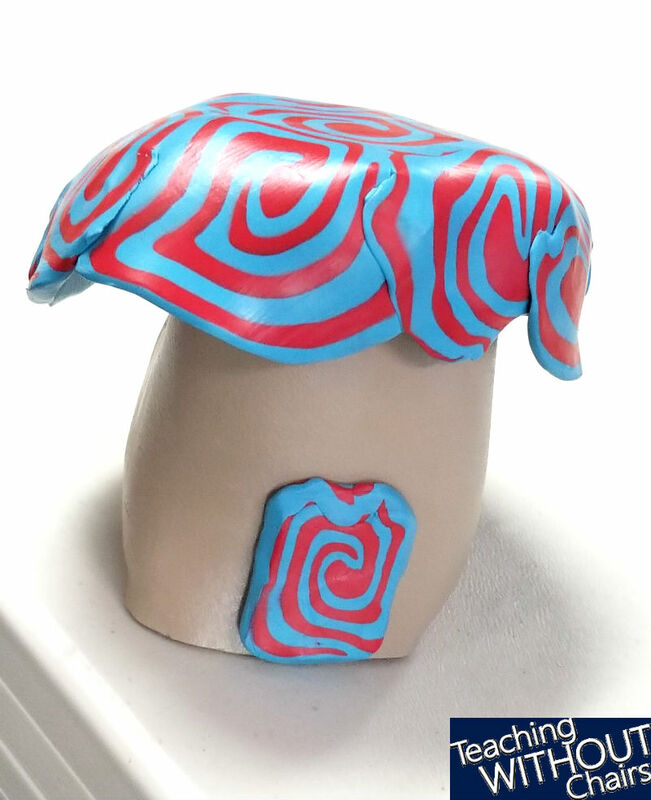 2- Sculpey's Premo polymer clay is easy to use. It only takes a few minutes to condition, and then it bends, folds, blends, twists, rolls, and pinches very easily...perfect for beginners or experts! 3- Sculpey's Premo polymer clay is forgiving in the oven...if your sculptures are about 1/4 inch thick, it cooks quickly and strongly. If you make it too thin, it doesn't crack or fall apart. It might bend after it is cured, but it holds together beautifully. If you make it too thick, it still works wonderfully! You just have to cook it longer. 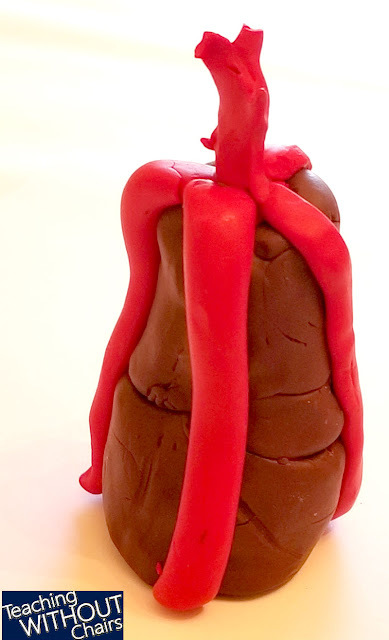 4- Sculpey's Premo polymer clay doesn't "burn" in the oven. I've used other clays that will actually turn brown if you leave them in too long, but this does not happen with Premo clay. I don't think you can actually overcook it at the right temperature! 5- Sculpey's Premo polymer clay doesn't dry out on the counter! This is perfect for kids! 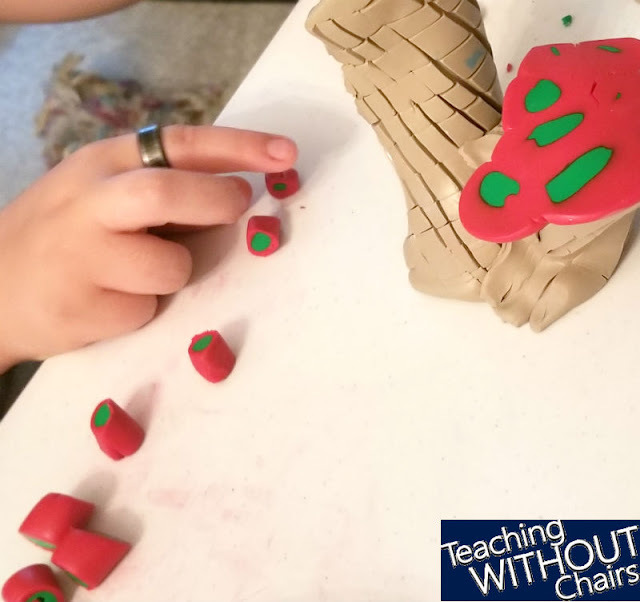 Children can get very frustrated with air dry clay that starts to dry before they finish working. Premo clay just doesn't! I've read that once it gets too old you can add a little "clay conditioner" to soften it, but I've never had it get too dry or old. We just pull it out, condition it, and get to work! 6- Sculpey's Premo polymer clay is reasonably priced. At first glance, it seems a little expensive, but a little bit of clay "goes" really far. Making some of the "big" fairy houses (5 -6 inches tall), only takes about 6 ounces of clay! AND, the people over at Sculpey have generously offered all my readers 20% off any purchase in October or November! Just click HERE and enter "POWOL20" into the discount box when you check out!! optional: cookie cutters, plastic knives, needle or toothpick, textured cups, etc. Preparation: * If you buy clay in packages bigger than 2 ounces, cut it into 2 ounce sections. * Condition three 2-ounce pieces of clay and roll them each out into 1/4 inch slabs. 1- General Clay for Children introduction: Tell the kids that people have been making clay for millennia, and some of the oldest artifacts we have from extinct civilizations are things made from clay! 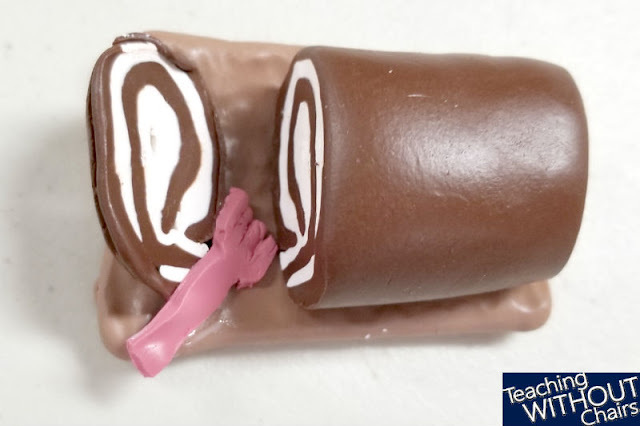 Now we have really cool technology that lets us make things like polymer clay--a type of clay that we can bend, fold, and sculpt, and then cook in a normal oven. 2- How to Use Clay: Conditioning. Tell the kids that conditioning is the single most important part of using clay. When they first unwrap a package of clay, it breaks in half if you try to fold it. 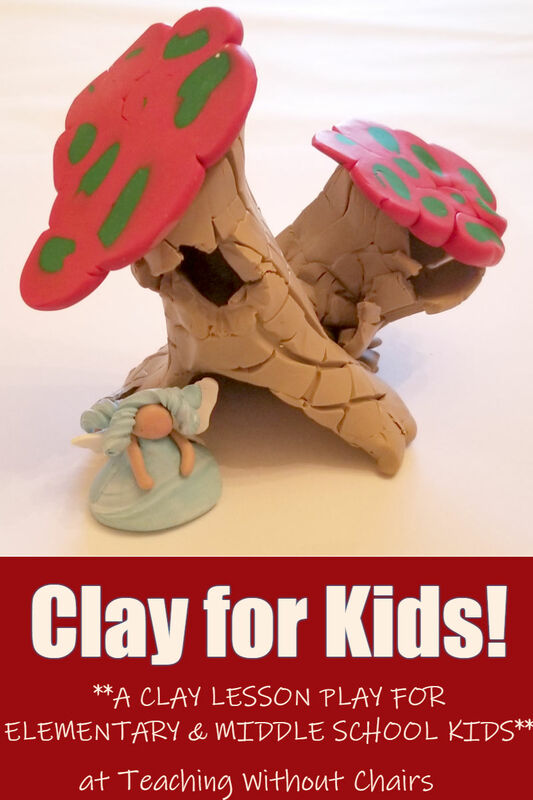 Children can easily tear the clay apart. 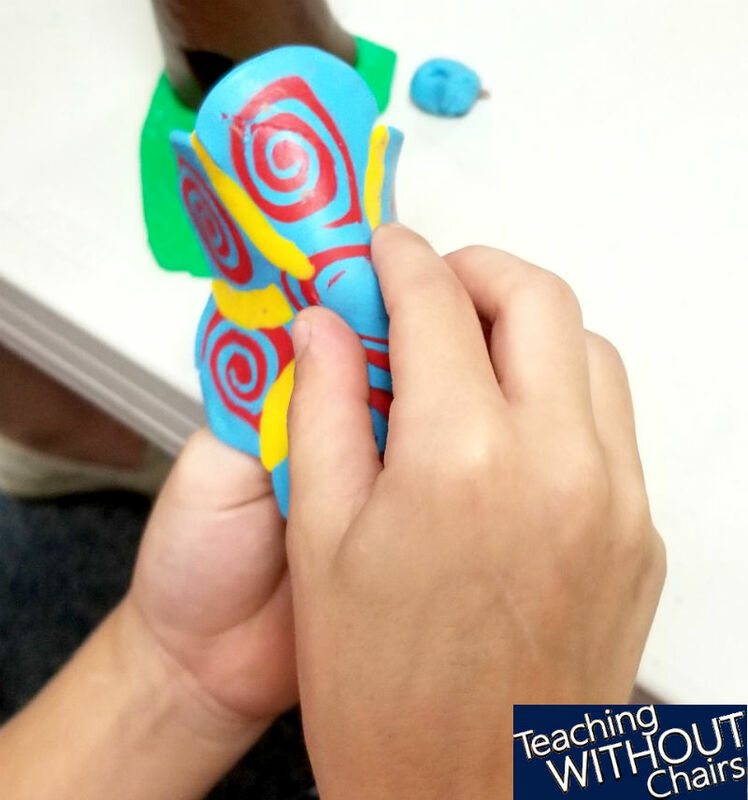 After you condition it, you can bend it, fold it, and sculpt with it easily. Show them one of the slabs you've already conditioned and let them feel how soft it is and how easy it is to fold. Explain that if you don't condition it enough, your project can crack and break. Emphasize that you cannot condition it too much! 1- Roll it paper thin with a rolling pin, fold it up, and repeat 3-4 times. 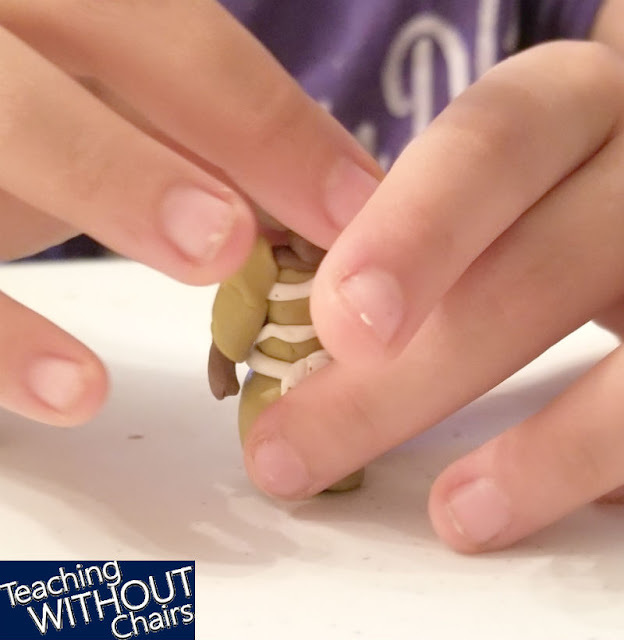 2- Pinch off a marble-sized bit of clay, flatten it between their fingers until it is paper thin, roll it up into a marble, and repeat 3-4 times. Squish several "marbles" together after you have enough. 3- Some middle school aged children were able to knead it by flattening it with the palm of their hand, folding it in half, turning, and repeating...but most preferred #1 (rolling it flat several times). 3- How to Use Clay: Slabs. Tell the kids that you can use a slab as a base for a fairy house, a castle, or anything else they want to build. Use one of your pre-rolled slabs to show you can wrap it around to make the walls of a house. 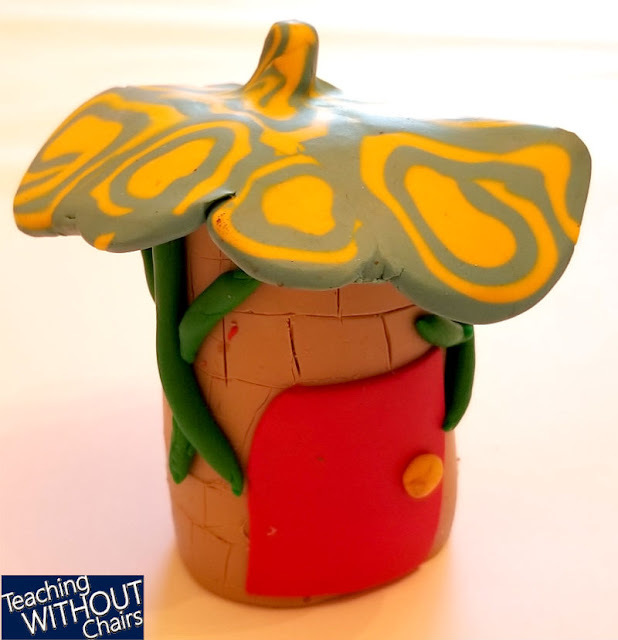 Note: 4 ounces is exactly enough clay to make a 5-6 inch tall house that is about 1/4 inch thick. 2 ounces is just over enough to make a roof for those houses! Important! Point out that it is MUCH easier to cut out doors or "carve" bricks into the house while the slab is flat on the table than after you pinch it closed into a house! 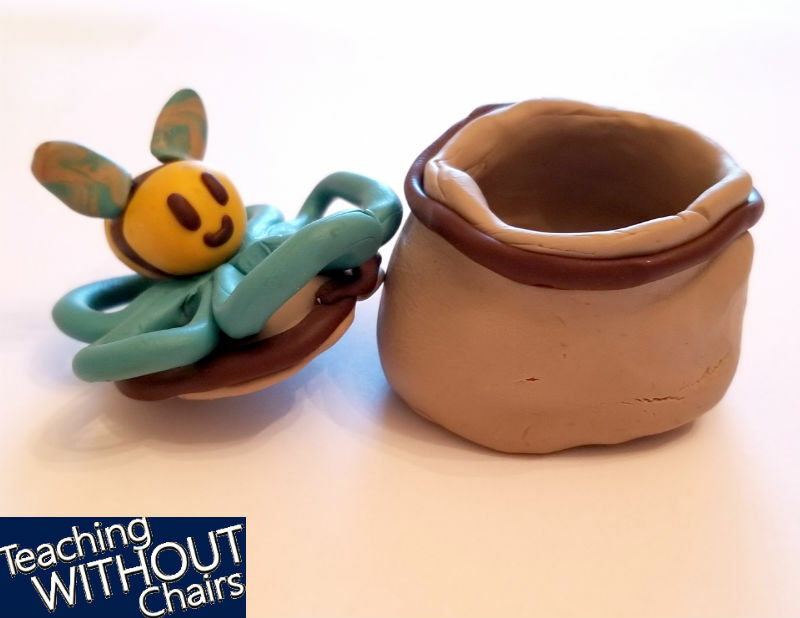 4- How to Use Clay: Canes. 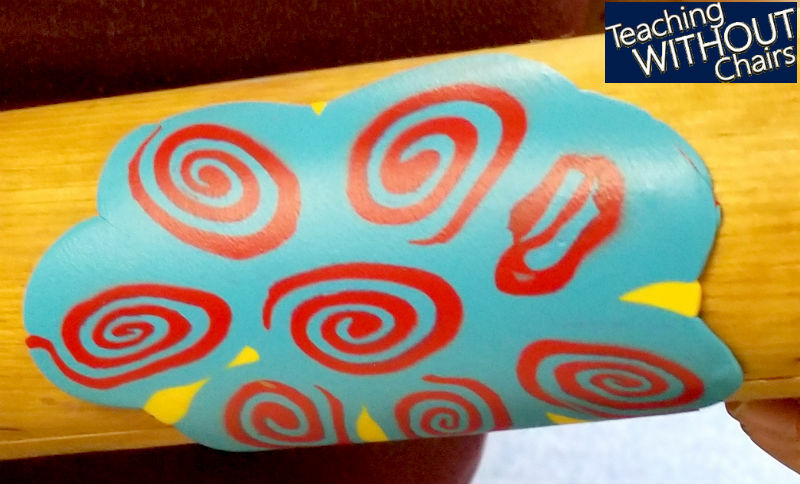 Tell the kids that one fun way to make cool designs is with a "cane." One way to make a cane is to stack two different colored slabs (make them each about 1/4 inch thick) on top of each other. Use your two pre-made slabs to demonstrate this. Once they're stacked, cut them in half, and stack them again, so you have 4 layers (like red, white, red, white). Then roll the layers up and slice them like cinnamon rolls. 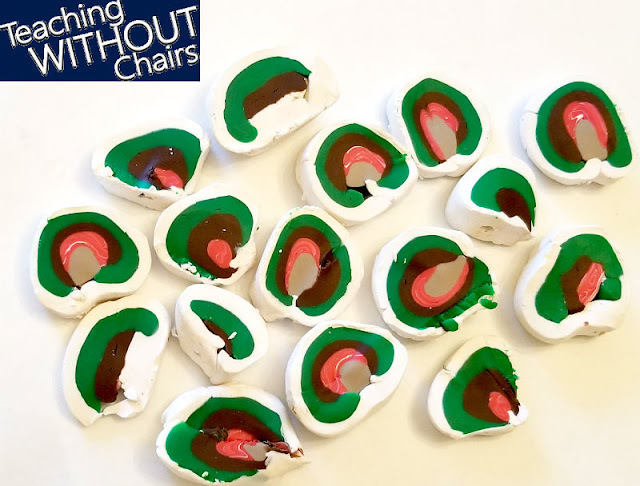 Make a new "slab" by placing all the "cinnamon rolls" in rows next to each other, filling the gaps with tiny pieces of clay, and rolling them together with a rolling pin! Several of our kids used this for a roof, but you could also use it for the sides of a house...or anything else you wanted! We had two or three sets of beads get made out of canes too! 5- Getting Started! The instructions so far usually take 10-15 minutes. At this point, ask your kids two questions: 1- What questions do they have? and 2- What is most important for them to do first? (condition the clay!) Once they know what they're doing, let them get started! Special Note on Joining Clay. 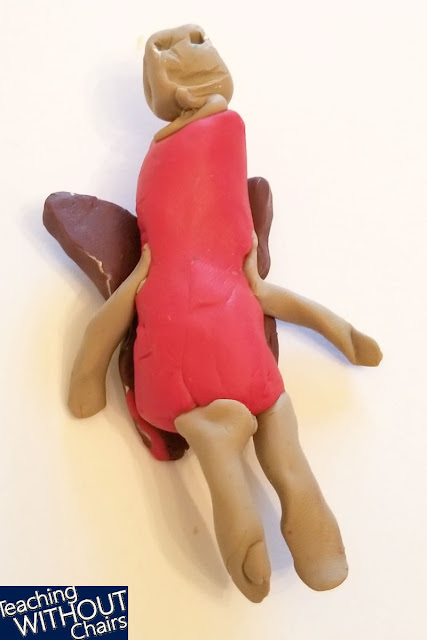 You can pinch the clay together to get two pieces to stick, or, better, use Sculpey's Bake & Bond. We jokingly called it "the magic stuff." The tiniest bit practically cements two pieces of clay together when it cooks. If you get too much on, the clay slides around and is messy. But, with just a touch, the tiny decorations on all of our projects stayed nicely stuck. (Bonus: if something ever breaks off after cooking, the magic stuff will stick together cooked pieces of clay too! You just put it on and re-cook the piece!) It also may seem a little pricey, but it takes so little to work that it is very reasonable! We have used it on more than 50 projects, and have almost used 1/2 of a 2 ounce bottle. 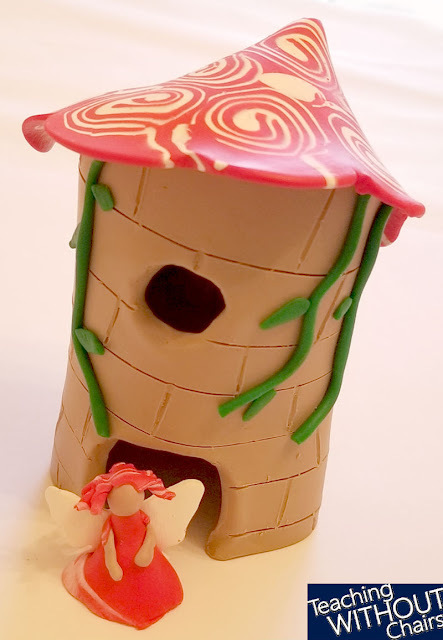 I encouraged the kids to use it on every "seam" when they pressed their slabs into houses, when they put on roofs, and when they added things like vines, doorknobs, hair (on fairies), etc. 6- Cooking! When your kids are finished with their projects, have them place them on a cookie sheet for you to bake. 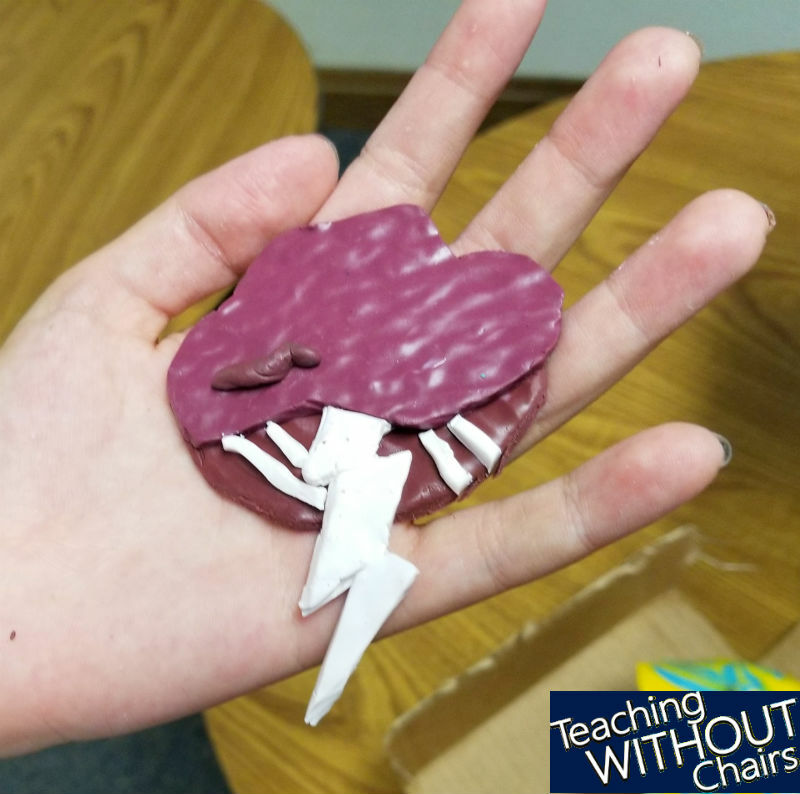 If you are doing this in a classroom, have each child place their project on a piece of aluminum foil with their name written on it in a sharpie marker so you can cook them in batches. Or, if you are doing this with homeschoolers, you might have parents that just want to take the projects home and cook them themselves! Sculpey clay baking is really easy. You don't need a special polymer clay oven...simply cook them at 275 degrees Fahrenheit for 45-60 minutes in a regular oven! If your projects are more than 1/4 inch thick, add another 40 minutes for every 1/4 inch thickness. 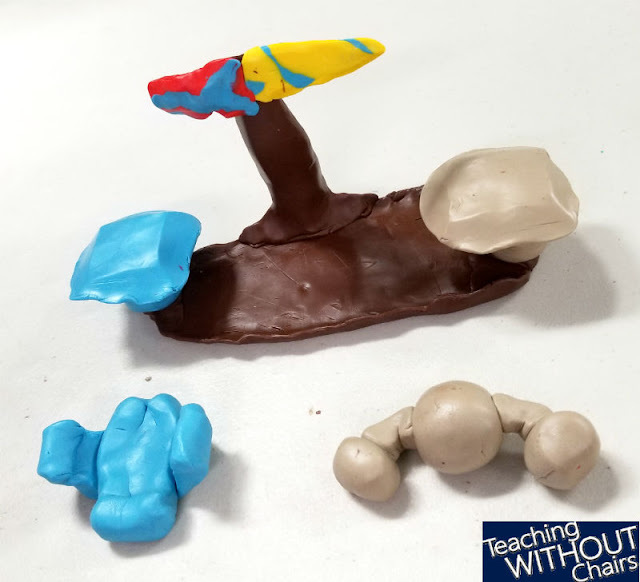 Do you teach clay for kids lessons? Do you have a favorite clay? I'd LOVE to hear about your experiences!! 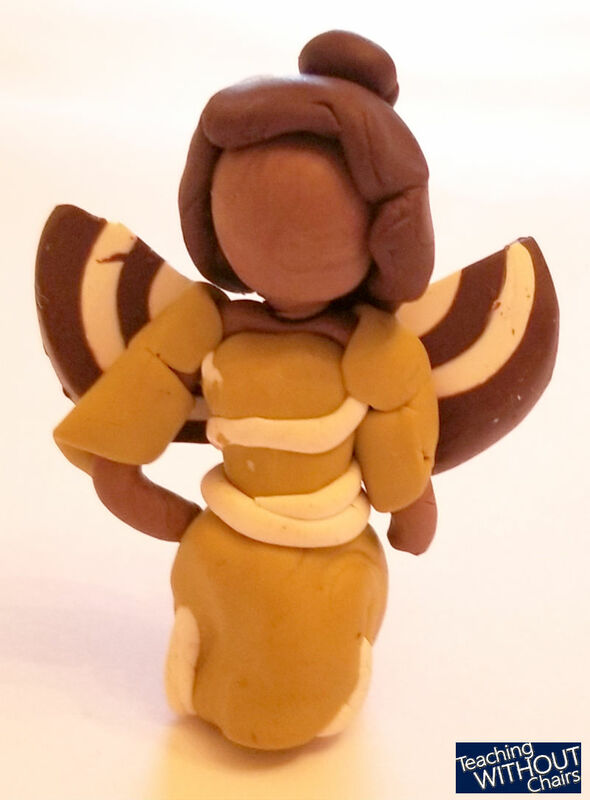 Remember you can get 20% off of Sculpey products with the code POWOL20 by clicking HERE! Do you have preschoolers? Click here to see how our youngest kids are using Sculpey Premo Clay too! And be sure to check out the other lessons in our Homeschool Art Class!! Disclosure: Sculpey provided Premo clay for us to experiment with in preparation for this post. As always, I only share my opinions and I ONLY recommend products I absolutely LOVE!